In the Nordic ice conditions, the cheapest and most popular mooring way is to use a combination of concrete anchors and mooring chains. 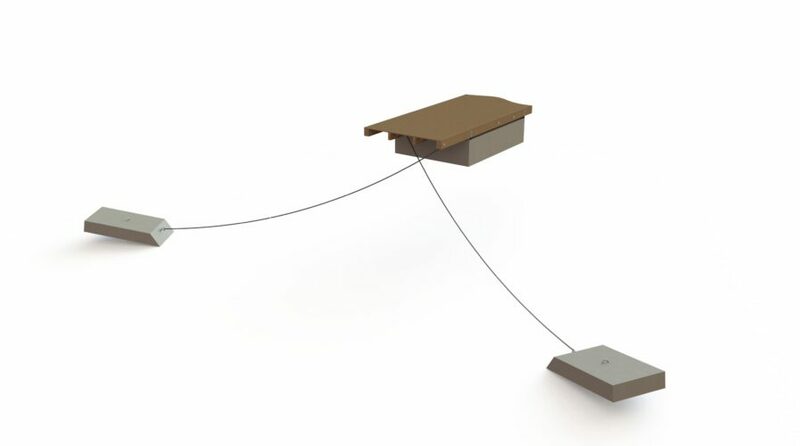 Only a sufficient water depth (1 m) and the right chain length (five times the water depth) are required. Chain mooring is designed for securing the vessel horizontally, while retaining its ability to move up and down with water. 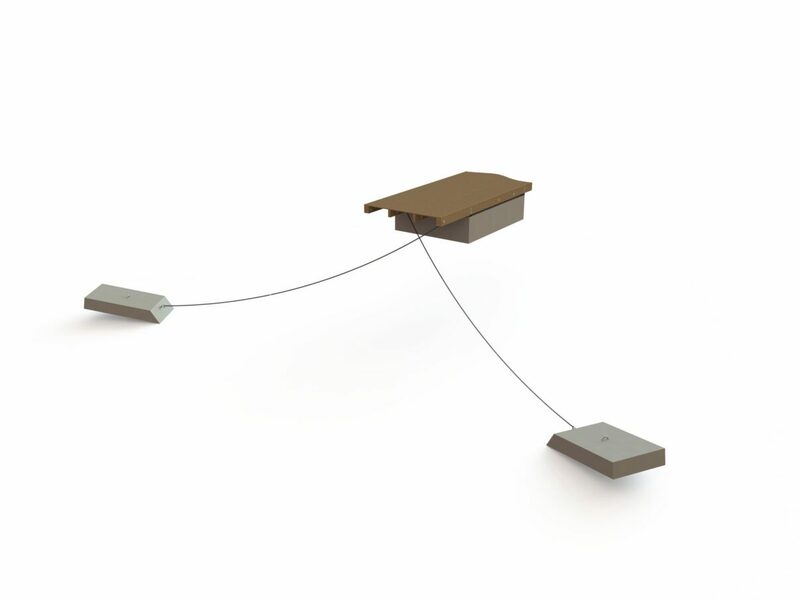 Anchors are designed as self-anchoring, and their mounting loops and reinforced concrete are resistant to seawater and to the strong hits from rocks and ice. 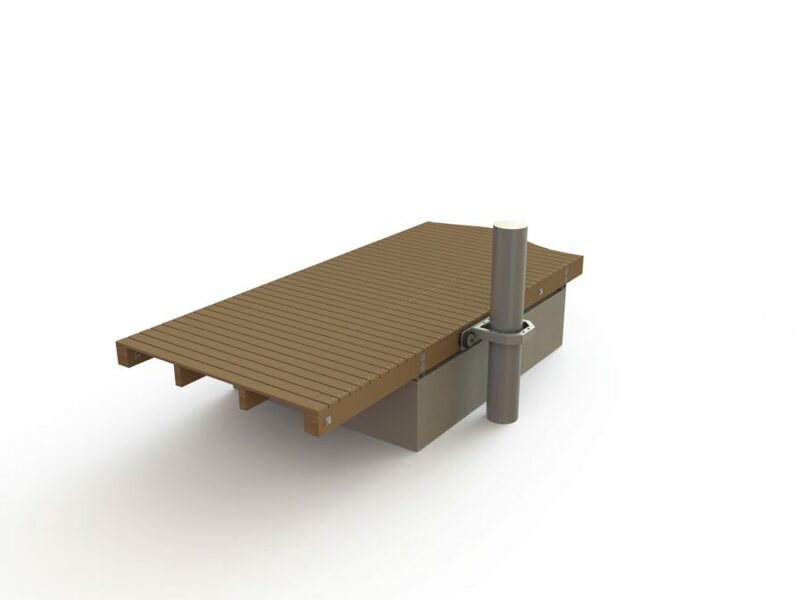 The size and quantity of anchors is selected based on the type of substrate and the size of the pontoon. You can increase the anchor’s force by adding extra weights that are attached to the middle of the chain. 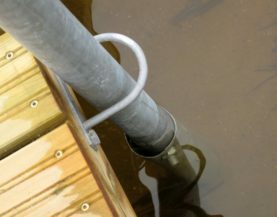 The pile guide can be successfully used in pontoons that are parallel to the shore and are located at low depths (max 2 m) and have a soft bottom. Pile mooring is a very secure fastening option, but due to its rigid fixation, there is a great risk that ice will damage the floating pontoon and shifts the piles from their place. For this reason, the use of pile mooring is most common in southern Europe and other permanently warm areas. In the Nordic countries, the piles must be dismantled every autumn and the pontoon has to be lifted out of the water. In the spring, the piles have to be installed again – this is the only way to prevent damage to the posts by ice. Diagonal mooring is used little, and in exceptional circumstances when the pontoon is very close to the shore and there is no room for chain mooring. The reason is that there is a risk of damage from ice in the winter, and the connections of the fastenings tend to rumble and squeak when moving around.